Another year has been added to the previous immigration plan announced in 2017. The plan which devised the number of immigrants to be targeted for 2019 and 2020, now has been expanded to 2021. 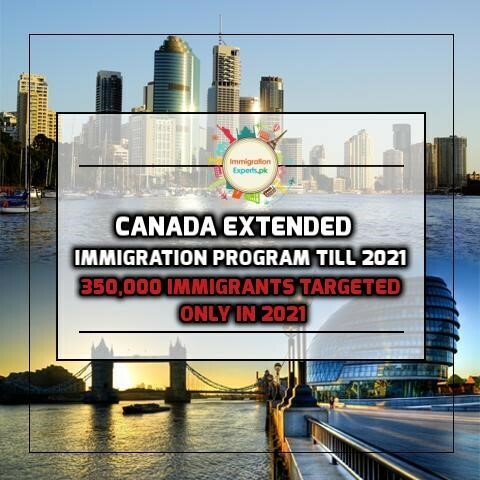 In this additional year Canada will invite 350,000 immigrants, and would be setting unprecedented records of invitations as compared to the invitations target of 2019 and 2020. On the eve of IRCC’s first anniversary of multi-year levels plan, these changes were introduced to the IRCC’s 2017 report to Parliament, publicized on 31st October. According to the revised plan, the influx of immigrants shall increase gradually in the following years allowing Canada to welcome 1.3 million more newcomers, through the country’s various favorable immigration categories. The Federal Express Entry economic system and Provincial Nominee Programs (PNPs) shall be the main contributors to this extended plan. The Express Entry system is further classified into Canada’s three main federal economic immigration categories — the Federal Skilled Worker Class, Federal Skilled Trades Class and the Canadian Experience Class. These categories shall be responsible for the intake of 1.3 million residents out of the total target planned by the end of 2021. Meanwhile, over the four years, the PNPs would likely be responsible to contribute to 19 percent of the total advised admissions. Hussen expresses that economic immigration would play an important role in curbing the “new challenges” such as declining birth rate and aging population. He further asserts that “growing immigration levels, particularly in the Economic Class, will help us sustain our labour force, support economic growth and spur innovation”. Economic Immigration program alone shall be making 60 percent of the total 1.3 million target of immigrants. Rest of the role shall be played by the Atlantic Immigration Pilot and economic immigration programs administered by the province of Quebec. 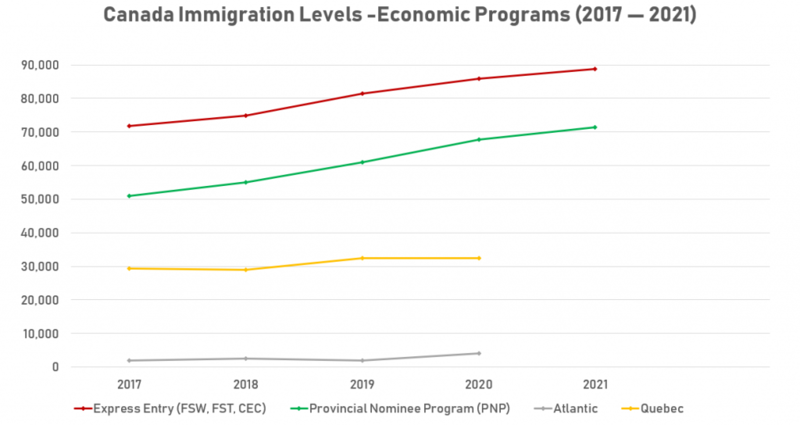 It needs to be mentioned that the immigrants target by the Quebec province have yet to be settled, due to the recent government shift in the province. IRCC mentioned that the new target plan of the province shall be decided by consulting the new government. Read more at Canada – Looking for Canadian Immigration? We Can Help You! What could be your option to migrate to Canada? To know your eligibility for Canadian immigration, and finding the most suitable category, don’t hesitate to contact us and let your process initiate.